The Oculus Rift has proven that the technology now exists to create a compelling virtual reality experience but it’s far from perfect. The visuals are pretty much set; it’s the rest of the puzzle that still needs putting together. Figuring out things like in-game movement and developing a practical controller are no doubt at the top of Oculus VR’s list but if you talk to anyone that has spent time using a Rift, you’ll no doubt hear of another common complaint: you can’t see your hands in the virtual world. To help solve this dilemma, the Facebook-owned virtual reality company has acquired hand-tracking startup Nimble VR (formerly 3Gear Systems). Nimble VR was founded in 2012 by Rob Wang, Chris Twigg and Kenrick Kin. They’ve been developing machine learning and computer vision capabilities ever since and even had a successful Kickstarter campaign that was live just yesterday for a depth-sensing camera to track hands in the virtual world called Nimble Sense. Given the acquisition, however, the Kickstarter campaign was canceled. The Nimble VR team will be joining Oculus VR and although not explicitly expressed, one would assume that their hand tracking technology will become part of the Oculus Rift. 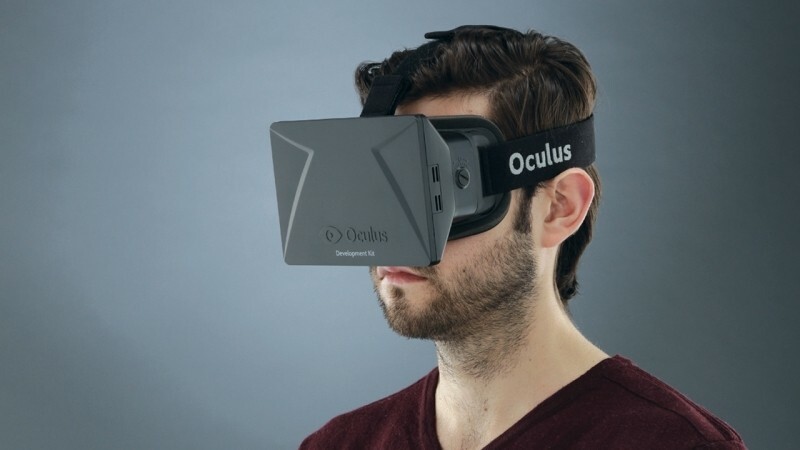 A commercial version of the Oculus Rift is still in the works although the company hasn’t provided a release date yet. Until then, the developer kit will have to suffice.